I might be kind of an odd-duck. 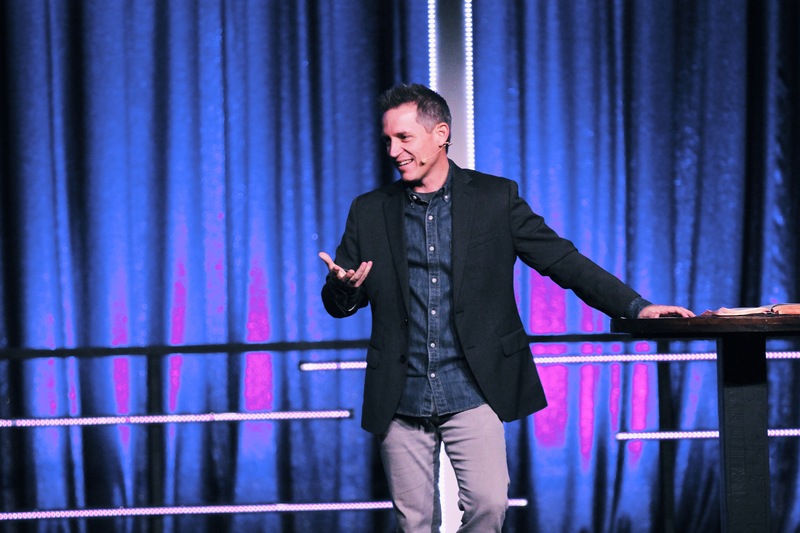 If you know me you are probably thinking, “no ‘might be’ about it Brian.” What makes me odd, at least partially, is that I speak at a lot of Children’s ministry conferences and events. The funny thing is, I have never been a kid’s pastor and last year I became a lead pastor. When I go to Children’s ministry conferences I often think, “I am the only lead pastor around and I better keep a low profile so these guys and gals don’t feel invaded.” What’s more, as I walk around I often notice workshops geared toward overcoming the OBSTACLE of your lead pastor or how to trick him into doing what you want by playing Jedi mind tricks. That’s not exactly the titles of the workshops but you know what I’m talking about. As I thought about this I decided it might be good for you to know exactly what will win the heart of your pastor and put you in a position of influence with him. 1) Build a Relationship –The most important thing you can do is to build a relationship with your pastor. Reach out to him. Invite his family to have dinner with your family at your house. Reach out for lunch or coffee. Don’t judge him if it takes a month to make it happen. Tell him when he is doing something that reflects well on Christ or that blesses you personally. Use kind words when you speak of him. Those words will come back to him and he will be endeared to you. Whether you realize it or not, many lead pastors feel alone even though everyone wants a piece of their time. Reach out relationally with no professional expectation. Just reach out to be a friend. 2) Follow Him Well – Unless your pastor leads you in a direction that is contrary to Scripture or detrimental to others, follow him as he follows Christ. A pastor learns to trust team members who follow him well and who go with him where he is going. If you want to be heard you have to stay close to him. To stay close to him you will have o follow him. 3) Pray for Him – the greatest gift a pastor can get is for a staff member to pray for him. I have two staff members who, at the end of a meeting, will normally say, “Let me pray for you pastor.” They pray for me specifically in ways that tell me they are paying attention to my plight as the key leader in the church. This wins my trust and gives them access to a deeper part of my heart. 4) Give Him Resources (The kind that don’t look like they are for kids) – If you want to influence your pastor in a particular way, give him resources that support the conversations you are having with him about whatever. I put this last on this list intentionally. Just giving your pastor a book is not a great idea. He will secretly ask the question, “What’s the motive here.” However, if you give your pastor a book, article, or link in the context of relationship, followship, and prayer support, he will receive it with a much different heart. Also, choose resources that will support your position and connect with him. Truthfully, most senior pastors don’t read stuff with balloons on the cover. Maybe we are judgmental and missing out but it’s true. Choose resources that will appeal to him. Let me encourage you. This may seem like work, but it is likely to prove to be well worth your time and energy. Influencing your lead pastor should be one of your highest priorities as a kid’s pastor. If your pastor is wise he will like nothing more than to effectively reach the next generation with the gospel. No doubt he needs a team member and a trusted friend like you to help him with that. Don’t be an employee, be an influencer. “Reach out to him.” Or her. Please stretch your imagination to include the wonderful, current reality that your lead pastor may be a woman called and gifted by God to lead and serve. Thanks for the comment but I can only “stretch my imagination” as far as biblical theology will allow. I understand the role of an elder/overseer only as presented in the Biblical text. God uses women in amazing ways and in all kinds of ministry roles and in ministry leadership positions for which I am thankful on a daily basis. However, my understanding of the Scripture delineates the role of an overseer to men by design. See 1 Timothy 3:1-7 among others. Thanks Brian – I appreciate the advice.